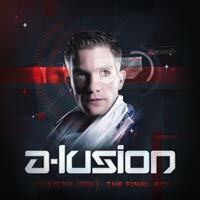 Dutch DJ & Producer A-lusion, has been exploring new worlds and breaking boundaries on his new Out in The Open album series. The third edition of his ongoing album project, initiated in 2012, brings us everything Hardstyle stands for and so much more. From the classic reverse bass sounds, to the modern euphoric and raw aural explosions. ‘OUT IN THE OPEN 3 – THE FINAL ACT’ will be released on Lussive Music and will be available in stores, as well as on your favorite download portals, from the 21st of November 2014. Where to buy the album episode? The digital edition contains 19 radio edits and a full length DJ mix. Twinklerz (Official A-lusion Merchandise): ORDER.